I just want to send a quick THANK-YOU to Christina's Book Reviews for allowing me to be part of this amazing tour! It's been a pleasure working with you! Kyon Ensin’s secrets number the stars; he knows more about Kricket's gifts than anyone and plans to possess her because of them. He also knows she’s more valuable than any fire in the night sky. He’ll move the heavens and align them all in order to make her his own. To say I'm a fan of Amy Bartol is an understatement. Last year around this time, I spent a week devouring all four novels in her Premonition series and felt major withdrawals when I discovered I'd have to wait for the release of the fifth novel, Iniquity. My disappointment furthered when I found out the release date was being pushed further back into 2014. I was so disappointed that news of this new series did nothing to excite me (Partly because I just wanted more Reed, and partly because I was worried I'd go in with high expectations and end up being disappointed). However, once I read an excerpt that included the dazzling creature that goes by the name of Trey, I knew I had to have this book ASAP! Under Different Stars met all of my high hopes, and more! 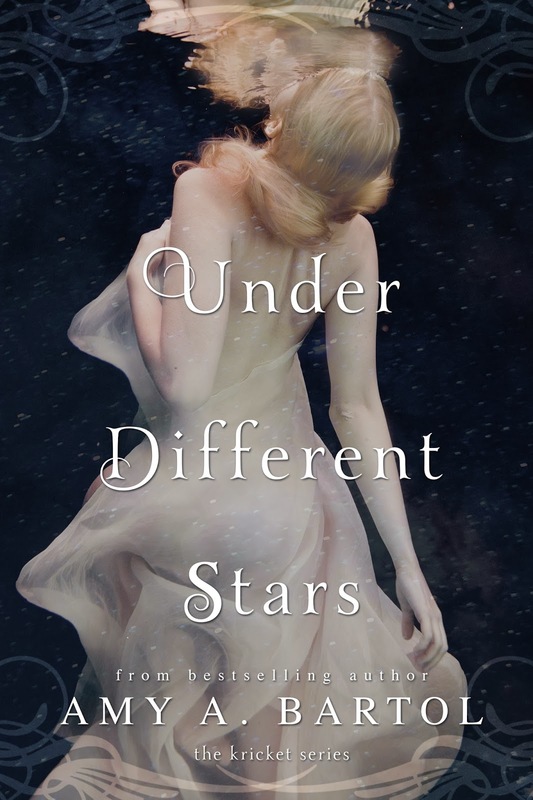 One aspect that is unique to very few authors on my bookshelf is that feeling you get when reading their books that makes the idea of putting them down give you a physical ache in your core.....Amy Bartol is one of those authors, and she did it again with Under Different Stars! From the very first chapter, I was hooked, and when I reached the end, I wanted to cry because it was over. Seeing the transition Kricket makes from living all of her life on earth to then one day being thrown into this dystopian world was both interesting and amusing. In this world, although they speak english, they use different words and phrases, have more modern and advanced technology and a completely different way of doing things. Kricket's personality was especially fun to read this experience through. She adapts really well to this drastic transition, is tough, heroic, determined and has a unique ability to tell when people are lying (making her not as naive as many heroines can sometimes be). I say it all the time, but romance is a huge part of what I love so much about the novels I read. In the world of Under Different Stars, unlike a marriage with a husband and wife, couples are bound together as consorts that require approval from those above them to be together. Kricket has two males in her life (a third male comes into play later, but because he's a creeper, I'm choosing to ignore him). One male by the name of Kyon has already been intended to be Kricket's consort, and the other, Trey, tries to hide the fact he wants to be her consort. Kyon's unattractive idea of having this weird sort of possession over Kricket never really allows for me to warm up to him....I wanted to shoo him away constantly. Trey on the other hand has become what Reed is for me in the Premonition series-- there's perfection in both how he looks and the things and ways he says things....Seriously, it's characters like Trey that make it hard for even fictional boys to meet these kinds of swoony standards. The chemistry between Kricket and Trey is electric and they compliment one another so well. I'm extremely excited to see how their relationship evolves as the series continues, especially because it's only in the second half of the book that they actually start becoming a couple. Overall, Under Different Stars has left me in ruins over the wait that is in store for me until the sequel. This book consumed not only my time, but my thoughts as well, even days after I was done reading it. If you're new to Amy Bartol, pick this baby up and start the Premonition series when your done. I can honestly Amy's novels have a very unique style that I have yet to find in any other YA reads on the market! Are you planning on reading Under Different Stars? 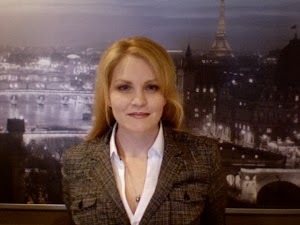 Are you familiar with the awesomeness that is Amy Bartol? Be sure to let me know in the comments below! Keep Reading! As Trey wades out of the pond with me in his arms, I try to lift my head from his shoulder. It makes me dizzy so I lay it back. It’s then I notice that I’m only in my bra and underwear. A blush creeps into my cheeks as I hug Trey tighter to me. Wayra meets us on the bank, draping a blanket over us. Trey sits down with me on his lap. He leans against a tree trunk holding me securely to his chest. Peeking at his face, he seems angry as he smoothes my hair back from my face. Hurrying over with the visor that looks like grandma goggles, Trey sets them on my eyes. Everything is green as I gaze around at the water in front of us. Flashing green lights and readouts occupy the peripherals of the glasses, but the information is running faster than I can possibly read it. “Ho!” Jax exclaims next to me. “What do you mean?” Trey asks with relief in his tone. “What does that mean? Is she healthy?” Trey growls. Jax nods enthusiastically. “She’s healthy! We didn’t fry her with heat stroke, that’s for sure. Or, if we did, she’s got more brain activity than anyone I’ve ever seen to compensate for it,” he replies, sounding seriously geeked about it. “Those things aren’t broken, are they?” Trey asks speculatively. Wayra walks over and Jax puts the glasses on his eyes. “See! He’s normal, well, normal for him. See how it doesn’t light up in these areas?” he points out to Trey. “Now watch this,” he says, taking the glasses off of Wayra, he places them back on my face. “See? It’s like Christmas in Chicago with all those lights,” Jax says proudly. “If she’s so smart, why did she run until she almost popped? Why didn't she just tell us she needed to rest?” Wayra asks derisively. “She’s sitting right here,” I murmur, pulling the glasses off my face and handing them to Jax. I live in Michigan with my husband and our two sons. My family is very supportive of my writing. When I’m writing, they often bring me the take-out menu so that I can call and order them dinner. They listen patiently when I talk about my characters like they’re real. They rarely roll their eyes when I tell them I’ll only be a second while I finish writing a chapter…and then they take off their coats. They ask me how the story is going when I surface after living for hours in a world of my own making. They have learned to accept my “writing uniform” consisting of a slightly unflattering pink fleece jacket, t-shirt, and black yoga pants. And they smile at my nerdy bookishness whenever I try to explain urban fantasy to them. In short, they get me, so they are perfect and I am blessed. Amazon ships most Kindle e-readers worldwide, however, it is up to the participant to ensure the country they reside in is listed as one of the countries Amazon ships to. If a winner is selected and Amazon does not ship to their country, another winner will be selected. Before entering this giveaway please check: To ship Kindle Fire outside the U.S. view important information specific to your country. Fantastic review!! Couldn't agree more! 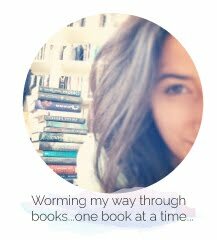 I had never heard of this book, but came across your post on Bloglovin and really happy that I did! I want to read all her books now. there are numerous additional styles associated with stick masks that you Mask Choose from.Through time, you continues to be fond regarding choosing in order to wear beautiful masquerade ball masks from certain occasions. The item not singular makes them feel good but This in addition makes them store amazing. Masks for masquerade parties are of any different kind. documented EMPLOY are viewable In the same way far back Just like Mask the 13th century. during your carnival inside Venice, an individual obtained masks for you to hide it\'s genuine faces AND possibly be capable of mingle in you associated with additional cultural standings.